It has a long history of use in herbal medicine and as a perfume ingredient. 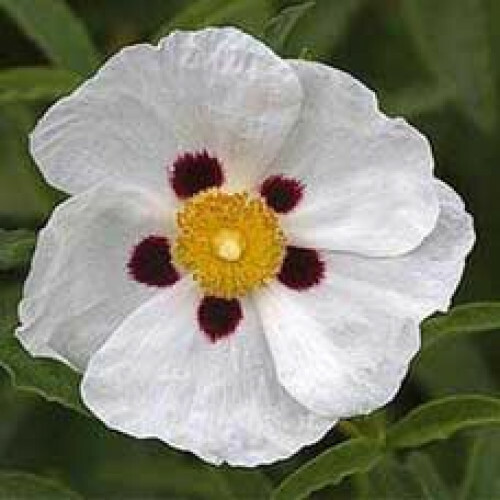 Labdanum is a small sticky shrub which grows up to 3m high with lance shaped leaves that are white and furry on the underside, and fragrant white flowers. Owing to its therapeutic properties, the gum of Labdanum absolute was formerly used for treatment of catarrh, diarrhea, dysentery and also to promote menstruation. Labdanum absolute Oil is considered to have the following properties: anti-microbial, antiseptic, astringent, balsamic, emmenagogue and expectorant. It is said to act as a fixative in perfumes and is widely used in the perfumery industry. It is also considered useful in skincare preparations especially for mature skin and wrinkles. Labdanum can be used to treat colds, coughs, and rheumatism. When combined with Frankincense, it is excellent for meditation.